Discussion in 'The Americas' started by mugundhan, Aug 18, 2017. POWAY, Calif. — Fewer than a dozen Avenger drones have been purchased since the product first flew in 2009, but General Atomics believes it may be able to sell about 90 aircraft in the next few years to a single international buyer, its president said Wednesday. 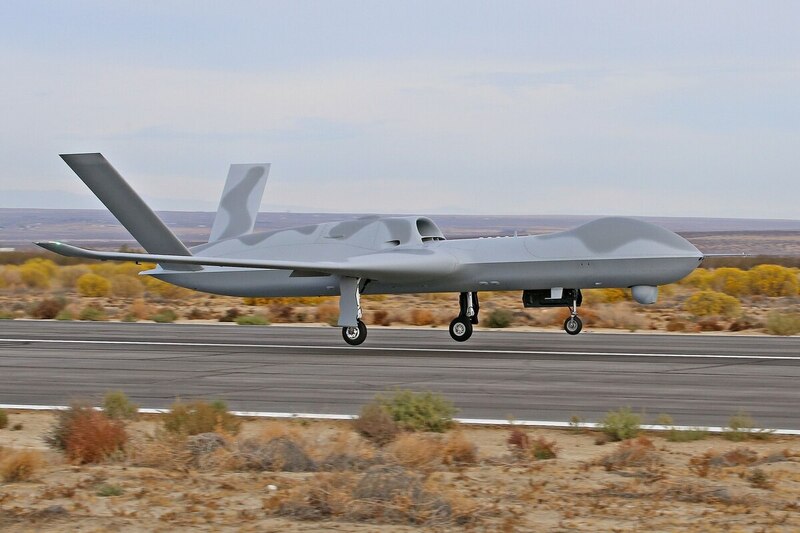 General Atomics has struggled to find a major customer for the Avenger, also called the Predator C, since the collapse of the U.S. Air Force’s MQ-X program and the U.S. Navy’s UCLASS program, both of which sought out UAVs that could survive contested environments. But speaking to reporters on Aug. 16, GA president David Alexander said the company was engaged with an unnamed foreign nation on a potential Avenger purchase. “A quantity of 90. It would be a big program,” he said. Robert Walker, senior director of strategic development, added that “a lot of work” needs to be done to refine the requirements and that details were still being ironed out. Although GA officials would not spell out which country is interested in the UAV, all signs point to India. In April 2016, Reuters reported that India’s Air Force had inquired about the potential procurement of up to 100 Predator Cs. Even if India decides to press on with the sale — which is especially uncertain given the country’s fondness for rapidly changing weapons acquisition plans — it is unclear whether the United States would agree to export the armed UAVs. Unmanned aircraft are currently subject to the Missile Technology Control Regime, which spells out a “presumption of denial” for Category I systems like the Avenger. Further export controls enacted during the Obama administration made it difficult to export many UAVs outside of NATO countries and other treaty allies. That Obama-era policy is now under review by the Trump administration, which could open a path for an Avenger sale to India, a longtime partner nation of the United States that has been denied armed UAVs in the past. Within defense circles, General Atomics is known for its reticence and protectiveness of its intellectual property, with its top executives and program managers seldom engaging with the press. But as unmanned systems become more pervasive, the company is slowly opening up — it held its first-ever media open house at its Poway, California, headquarters on Aug. 15 and 16. Defense reporters got to see GA’s Avenger prototype, Angel One, during a trip to the company’s hangars at Gray Butte Field Airport. Angel One — which is slightly smaller than the production version of the Avenger — has been configured for humanitarian aid missions such as airdropping food rations from its expansive payload bay. However, most details about the Avenger continue to be tightly guarded, with company officials saying they were not permitted to talk about the operational use of the aircraft for classification reasons. GA has acknowledged the production of up to nine Avenger aircraft: the Angel One prototype that the company currently still owns; one bought by the U.S. Air Force; and no more than seven units owned by a classified U.S. government customer, Alexander said. Unlike its older brothers, the MQ-1 Predator and MQ-9 Reaper, the Avenger features a jet engine and internal weapons bay, making it less visible to radar. “It’s a very affordable aircraft. It’s high altitude with a very large sensor bay,” he said. The extended-range Avenger has a maximum payload of 6,000 pounds, including internal storage for up to 3,860 pounds of equipment. That could accommodate systems equivalent to the MS-177 multispectral sensor, which is being tested aboard Northrop Grumman’s RQ-4 Global Hawk in the hopes of bringing its surveillance capability up to the levels of the U-2 Dragon Lady spy plane. Hellfire, zebra7, randomradio and 3 others like this. If the US allows the Avenger sale to India, that would be a big deal. Hellfire and mugundhan like this. mugundhan and randomradio like this.